It's Clean, Abundant, Reliable, Efficient and American. 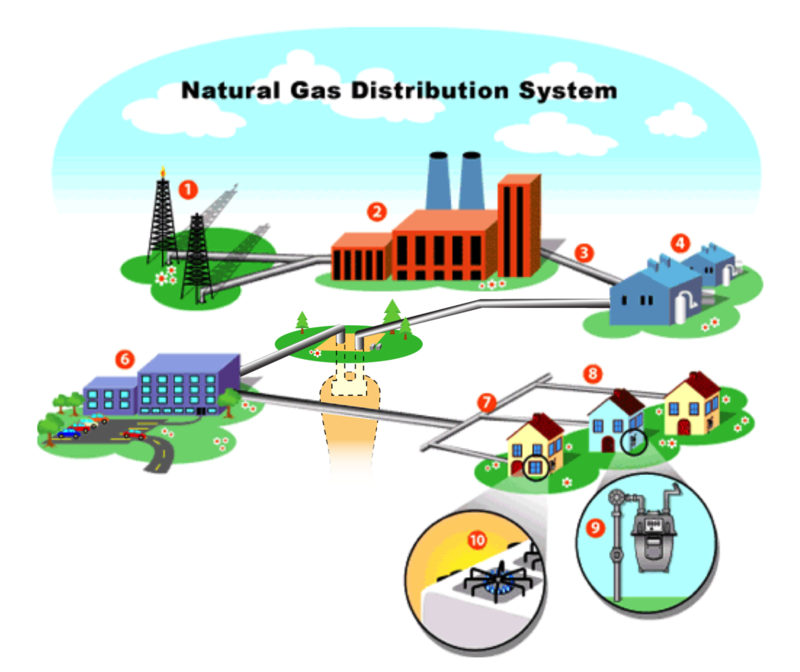 Natural gas is one of the most commonly used fuels in the United States today. Its first known use in America was in the early 1800s, when the city of Baltimore, Maryland tapped it to fuel street lamps. Now, more than 70 million homes and businesses in the U.S. are supplied with natural gas. They most often use it for heating and cooking and even for powering natural gas vehicles. It’s used in manufacturing too, as an ingredient in fabrics, pharmaceuticals, and other products, and for manufacturing processes like product melting, drying, and glazing. Natural gas is formed underground over millions of years, as pressure and heat from the earth transform buried plants and tiny sea animals. Sometimes drillers have to dig 6,000 feet before finding a natural gas deposit. About 90 percent of the natural gas we use comes from the U.S. This is good for our country's energy independence, national security and jobs. Natural gas reserves are abundant and predicted to provide ample and affordable supply for decades to come. American Gas Association - Represents local energy companies that deliver natural gas throughout the United States. Gas Technology Institute - GTI is a not-for-profit research and development organization. Energy Information Administration - Provides extensive data about natural gas and all forms of energy.